Certain actors so embody a role that their performance becomes a touchstone, an exemplar. When it comes to superheroes and the like, there have even been a handful of cases where that real-life performance surpasses what’s on the page — or at least sets a new template. I’m thinking Burt Ward as Robin, Julie Newmar as Catwoman and, of course, Christopher Reeve as Superman as three prime examples. 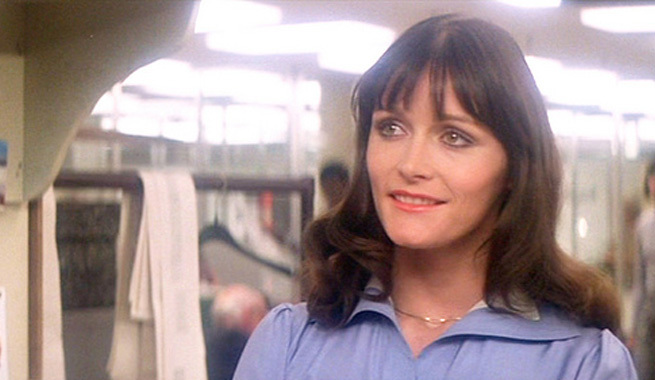 You can add Margot Kidder’s Lois Lane to the list. Kidder has died at the age of 69 (click here). But her run as The Daily Planet’s most fearless reporter is indelibly etched in the public imagination. 1. She redefined Lois Lane for all media. DC had begun to modernize her in the ’70s but it’s Kidder’s portrayal — as conceived by director Richard Donner, script doctor Tom Mankiewicz and co. — that took hold in the decades that followed, whether on screen or on the page. Lois’ raison d’etre was no longer to marry Superman: She was a completely modern, thoroughly committed career woman who just happened to be interested in the Man of Steel. That’s a big distinction. 2. And she wasn’t just good at her job — as she was in the comics or Mary Richards was on TV — she was big and brassy about it. In 1978, that was still a big deal. 3. Kidder’s Lois had such sizzle that’s it’s obvious why Superman would want to be with her. For years, whether in comics or on screen, Superman treated Lois like an amusing annoyance or something of a mascot, akin to a female Jimmy Olsen. Kidder, on the other hand, gave us someone whom the most powerful and desirable man on the planet would want to be with. 4. She was no damsel. Sure, Superman had to rescue her from the helicopter crash and the earthquake. But he would have had to rescue anybody in those circumstances. The one chance she has to meet an adversary on equal footing — the mugger in the alleyway — she takes matters into her own hands. (Of course, Superman had to rescue her again — but she didn’t know that.) And at no point do you doubt Kidder’s approach — or her reaction — to what’s going on around her. 5. Now, if you think that this is all in the writing or the direction, go check out the Lois Lane screen tests on the Superman video extras. Not a single actress whose footage is out there comes close to what Kidder conveyed right out of the gate. Kidder sold it — giving us a Lois who was at once bold, vulnerable and winningly appealing. 6. Kidder had great comic timing. Her best line in the movie is probably when she blurts out the sexually loaded, “How big are you?” — then quickly catches herself. I recently saw Superman on the big screen and the crowd ate it up. 7. She and Christopher Reeve shared wonderful chemistry. Beyond “You’ll Believe a Man Can Fly,” you believed that the two of them would fall in love. 8. 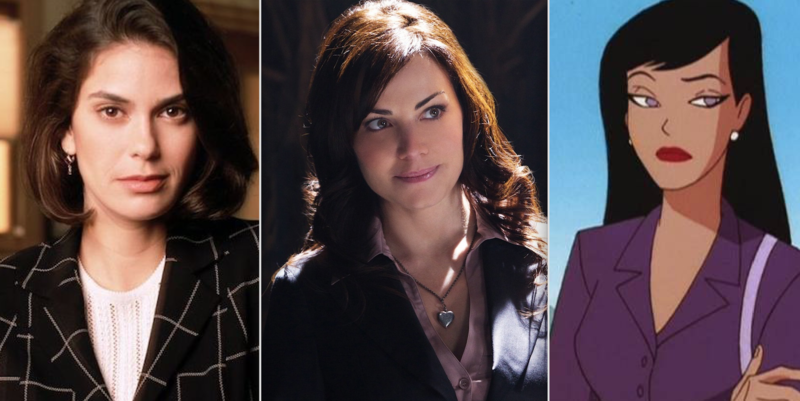 Teri Hatcher, Erica Durance and Dana Delaney owe her a debt. 9. One way Superman III would have been a whole lot better? More Lois Lane. 11. It’s funny. 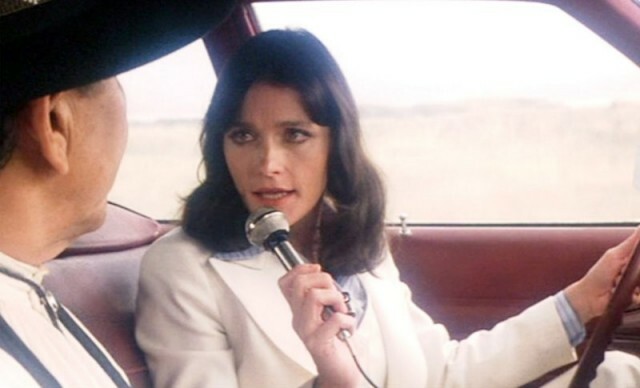 It wasn’t until I listened to Rob Kelly and Chris Franklin’s Superman Movie Minute podcast (click here) that I realized that Superman and Lois only had three scenes together (while he’s in costume) in the original movie. Yet his grief and rage over her apparent demise is completely believable. That’s not just because of how Reeve plays it. It’s because we thoroughly understand why he’d fall for her so completely. 12. I remember being so excited for Superman II — and it wasn’t just the idea that the three Kryptonian criminals would be center stage. It was the idea that Superman and Lois would finally be together. I guess I was a romantic kid. 13. 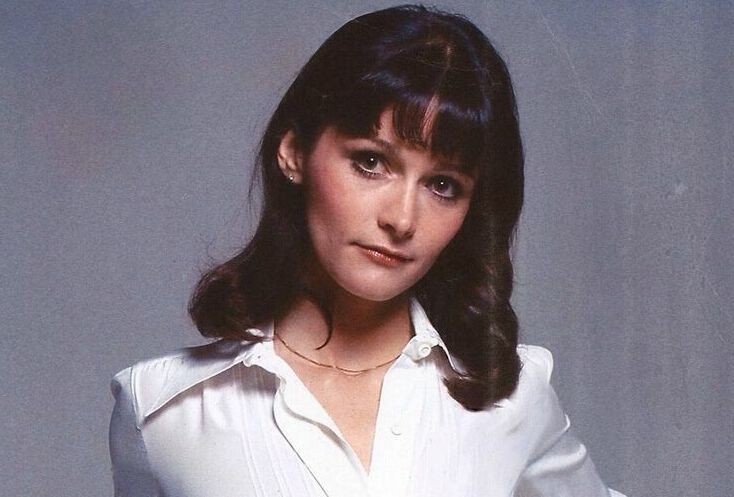 I’ve been seeing a lot of comments online along the lines of “Margot Kidder was the Lois Lane of our childhoods” or “Margot Kidder was the Lois Lane for a generation of fans.” They’re all wrong: Margot Kidder was the Lois Lane for all generations. 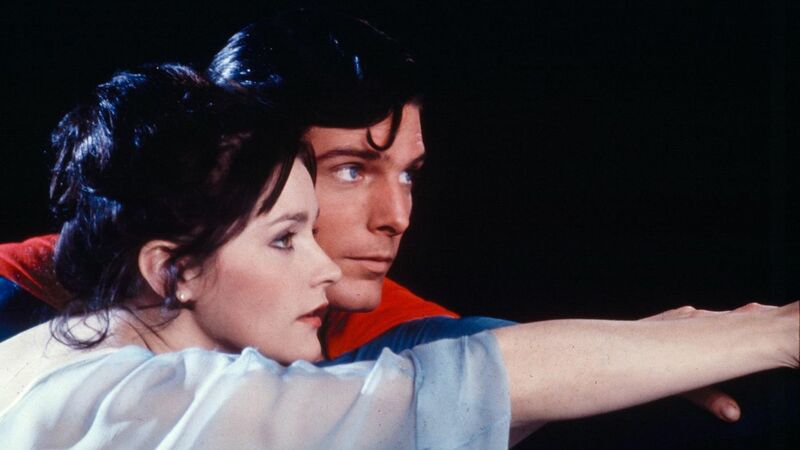 — MARGOT KIDDER Dead at 69. Click here. I took my now 42 year old son to see Superman the first weekend it was out. He cried when Kal-el was set adrift. I cried over the Lois Lane character. The struggle was on to ratify the ERA. The requisite number of states needed to ratify before 1979. Ms Kidder charcter embodied the hope for equal rights under the law. There was great possibilities.